Christian Solidarity Worldwide (CSW) has been informed that Yousef Nadarkhani, the Church of Iran pastor recently acquitted of apostasy, has been returned to jail on an earlier charge. In September, a court acquitted Pastor Nadarkhani of apostasy, but sentenced him to three years for evangelising Muslims. Since he had already spent close to three years in Lakan Prison in Rasht, the pastor was released after posting bail. However, CSW sources now report that Pastor Nadarkhani has been returned to jail on the orders of the director of Lakan Prison, who claimed he had been released several days too early due to the insistence of his lawyer, Mohammed Ali Dadkhah. The pastor has now been return to prison to serve the remainder of this time and to complete paperwork that allegedly had not completed during his release in September. In November, Pastor Nadarkhani was a special guest at CSW's National Conference in London, where he thanked all who had prayed and petitioned for him during his initial incarceration. Mervyn Thomas, CSW's Chief Executive said: "We are disappointed to hear Pastor Nadarkhani has been returned to prison in such an irregular manner. The timing is insensitive and especially sad for his wife and sons, who must have been looking forward to celebrating Christmas with him for the first time in three years. 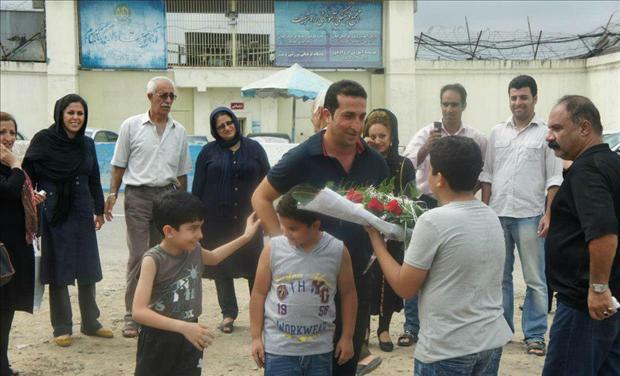 We hope that Pastor Nadarkhani will be released without delay once this alleged sentence has been fully served. We are also asking for prayers for the pastor's safety, and for his family at this difficult time." For further information, visit www.csw.org.uk.